Born in Milwaukee, a quiet but persistent tennis player who adopted a business-like approach to the game, Parker ranked among the top ten U.S. players for 17 consecutive years, 1933-1949. 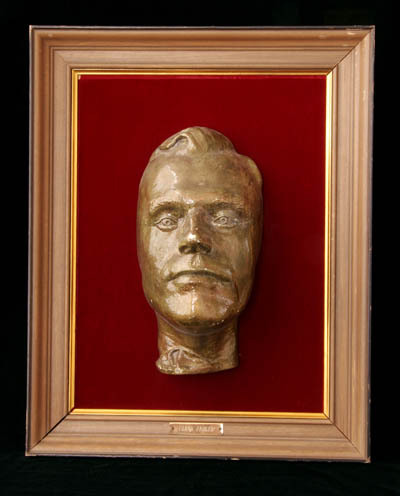 Among his accomplishments: a member of the Davis Cup team five times, U.S. doubles champion in 1943, U.S. singles champion in 1944 and 1945, twice French singles champion and once in doubles, Wimbledon doubles champ in 1949, U.S. clay court singles champion five times and once in doubles, and in 1948 ranked No. 1 in the world. Frank A. Parker was born in Milwaukee, Wisconsin, on January 31, 1916, as Franciszek Andrzej Pajkowski. Parker, a quiet but persistent tennis player, made his presence known at an early age with his tennis racquet prowess. He was one of only a handful of tennis players to win U.S. Championships in the Boy Division, the Junior Division and the Men’s Division. Parker was National Champion two times, winning the title at Forest Hills, New York, in 1944 and 1945. He was Mercer Beasley’s most famous tennis pupil. Frank’s serious attitude was part the result of Beasley’s insistence that nothing should interfere with a business-like attention to the game. Parker arrived at the tennis courts on time for each match, played, showered, dressed and left. He was even tempered and friendly with the players and was universally liked. Parker’s backhand was one of the famous strokes in tennis. The Parker trademark brought victory results for many, many years. 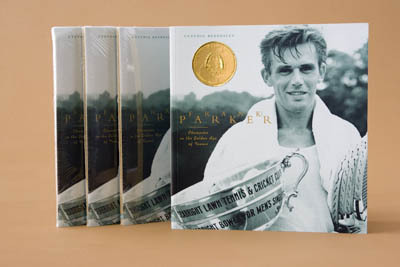 Seventeen times, from 1933-1949, Parker was ranked among the U.S. Top Ten tennis players. Twice he was ranked No. 1. Parker’s list of accomplishments is impressive. Five times he was a member of the Davis Cup team and was mainly responsible for the American success against England in the 1937 matches. He defeated C.E. Hare 6-2, 6-4, 6-2 in the vital singles match as the United States captured the cup. He was 1943 U.S. doubles champion; French Open singles champ in ’48 and ’49 and doubles champ in ’49; and Wimbledon doubles champion in 1949. Prior to these championships, Parker was a multiple winner of the U.S. Clay Court Championship in singles in 1933, ’39, ’41, ’46 and ’47 and the doubles champion in 1948. In addition to the NPASHF, Parker has also been inducted into the National Tennis Hall of Fame and the Wisconsin Hall of Fame. The Longwood Club at Chestnut Hill, outside of Boston, certainly remembers Frank Parker. In 1933, sports fans used to sit in the trees to watch the great tennis matches. That year, Parker showed up on the tennis court wearing ‘shorts’ for a tournament match. No one thought anything of it because he was a ‘boy’ and only 17 years old at the time. But when some of the ‘older boys’ donned shorter pants, the Longwood Club received more than a couple of phone calls from indignant citizens who thought the sight of so many exposed legs proved “disgusting” at that time. Times have changed since Parker’s daring move in 1933!